It’s almost time, Portal Masters: Skylanders Imaginators is coming out in less than two weeks. In anticipation for the game’s release, Activision has revealed some new details about the accompanying Skylanders Creator app. The new game is all about creating your own Skylanders characters to take on evil, and the app will let you share and customize these characters. You can even unlock new customization parts from it. More excitingly, though, you can use the app to order a physical representation of your unique Skylander. 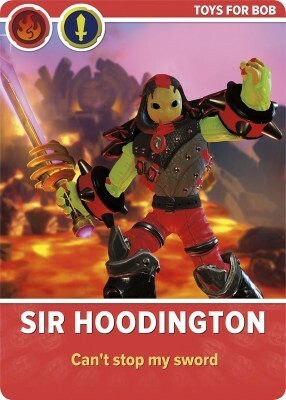 The Skylanders series has always been about toys to life, and you can use the app to order a 3D printed toys to life figure of your own character for $49.99. 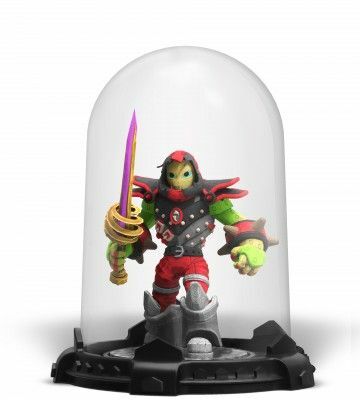 It comes with a special base, is covered in a clear plastic dome for protection, and works with Skylanders Imaginators just like any other Skylanders figure. If you’re a bit more budget conscious, for $14.99 you can get your hands on a custom trading card depicting your character; these also work with the game the same way as the figures. Finally, if you’re not interested in a game-compatible depiction of your character, for $25 you can get your hero on a T-shirt. Early previews of the game have been impressed with the vast character creation system, and we’ll be sure to provide a review of our own after the game comes out. Skylanders Imaginators will be released on October 16th in North America and October 14th in Europe. It will be available for Wii U, Xbox 360, Xbox One, Playstation 3, and Playstation 4.